You cannot escape. You’re stuck where you are and, though you’ll rail and squirm, resist and rant, you decide in the end that there’s little you can do but wait the situation out. Whether it’s in mind or in body, welcome to confinement. As you’ll see in “American Prison” by Shane Bauer, you’d best hope you’re on the right side of the bars. 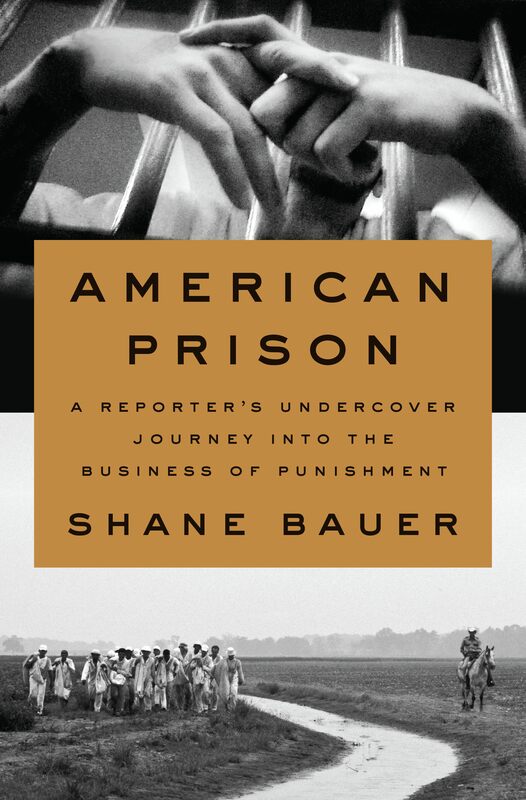 Nine years ago, due to an innocent hike that went too close to the Iranian border, Shane Bauer was imprisoned for several months in Iran. It was a frightening situation that took awhile to shake; once home and anchored again, he was bothered by what he knew was happening in prisons here at home. In the fall of 2014, Bauer went to work undercover for Mother Jones magazine, to report on American prisons-as-business. During the Civil War, the north held most of the nation’s prisons. For Southerners, the idea that a white man might be treated like a slave – shackled, working for free, beaten – was insulting. Even so, a handful of entrepreneurs saw ways of profiting off the crimes (real, embellished and perceived) of others. Within years after Wars’ end, private prisons were common and often filled with black inmates who were treated worse than they were as slaves. As one prison guard indicated, slaves were worth money but if a prisoner died, you just got another prisoner. With his own experience dogging him, Bauer applied for and accepted a guard job at a private prison in Louisiana. It paid very little – just $9 an hour – and, because the corporation that owned the prison had cut staffing, it required mandatory overtime. The job included the usual guarding tasks that Hollywood depicts and others that might explain why many prisons offer counseling sessions for their guards. There is, first of all, the personal. Bauer writes of his reasons for going to prison undercover, including the preparation for it and the anxiety of his assignment as it happened. The job, as he indicates, is almost universally stressful from the outset, never mind having to hide within it. That stress heightens the tension and leads to a history of the business itself, which Bauer teases out within his narrative. Here, be prepared for things that may make you wince. It’s not easy reading. And then there’s the big picture. Is jail a place to rehabilitate or a place to please investors? Can it be both? Or neither? In the end, that’s left for readers to ponder, though it’s possible, even doubtful, that anyone’s mind will be changed by this book. Even so, certainly, what you’ll read in “American Prison” won’t let you go.